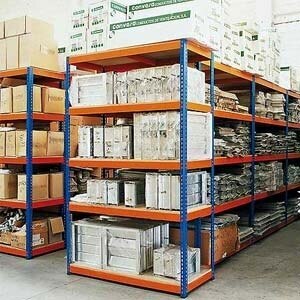 Metal shelving units are the best option when you need strong, multipurpose storage. As a universal system that gives you direct access to your goods, these shelves can be adjusted to your storage loads, i.e. different arrangements, features, accessories etc. 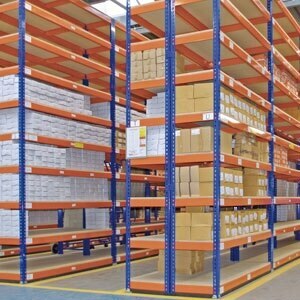 When you are in the market for a shelving unit, there are many different options, materials etc. to choose from. To ensure you get the best performance from your installation, with long-lasting results, consider setting up a steel shelving solution. Whether you are looking for a robust, versatile shelving unit to store heavy or bulky loads, or you just want to store packages or documents, there is a metal shelving solution that is right for you. 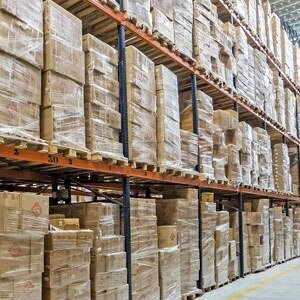 Undoubtedly, metal (or steel) shelving units are one of the most popular solutions for a wide variety of storage needs, from heavy or odd-sized loads to lighter/smaller ones. This adaptability makes them perfect for your garage, home or workplace, as well as any industrial setting. Take your storage area to the next level. Whether you need to maximize your space, have quick access to stored goods or just a sturdy shelf, these metal shelves can be tailored to your space purposing. At Shelving Direct, we believe storage should be effortless. 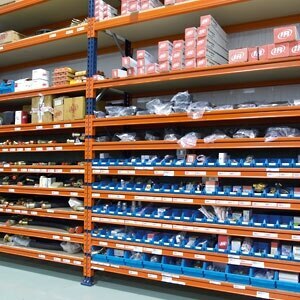 Our metal shelving units are quick and easy to install, requiring next to no tools to put them together. The whole DIY process is uncomplicated and user-orientated. Detailed instructions are included with each purchase, with step-by-step directions on how to assemble the metal shelves. All our materials are subject to rigorous testing, which guarantees the safety of the shelves and their resilience, even under heavy-duty conditions. For a more secure system and increased stability, fix your units to an appropriate floor or wall surface using our shelf anchoring and spacers. Wire shelves for better ventilation, hygiene and product visibility. Casters designed to create rolling shelf units. Vertical storage dividers for glass panels, films, printing plates and paints, etc. The smooth finish of these specialized vertical bars means no damage to any stored surface, even with the heaviest loads. Not every unit can hold the same weight or container type, so be sure to check the specifications of each product. Some shelves need a rubber mallet to be assembled (*available for purchase on shelvingdirect.com). 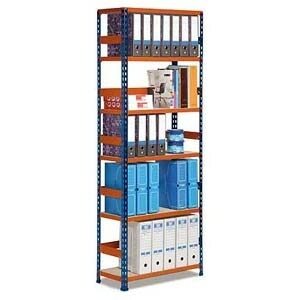 Combine these hand-stack shelving units easily with other storage solutions.